The Opportunity to be Taken by The Hand and Given The Best Product Creation Advice and Your Own Products is Seconds Away! Thank you so much for deciding to invest in Digital Profit Master. Your membership details are being sent to you right now via email and will be with you by the time you have finished reading this page. First of all we want to stress that inside Digital Profit Master you have everything you need to take product creation to the top and beyond, but what if we could speed up your success with expert ongoing advanced training to allow you to really crush your product creation and product launches? The truth is, the fastest and easiest way to become successful at anything in life is to closely follow the people who are already a success.. And then model EVERYTHING that they do. We Already Knew This and Thats Why You Are Here! Putting it simply... We want to work with you personally to help build your own business the shortest possible time with the least amount of effort. We Want to Work With You But You Need to Be Serious! I must warn you that everything revealed inside our VIP Product Creation Club must stay private! This is also a strictly closed door membership, meaning this material is not accessible to the general public and never will be. 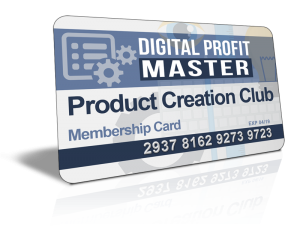 It’s for you, a valued member of our Digital Profit Master Product Creation Club! We like to call it the Product Creation Club because you become part of something special. Inside you'll gain access to our very latest product creation material and techniques, including marketing strategies that we’re developing to grow our online business right now. What Are The Others Saying About The Product Creation Club? 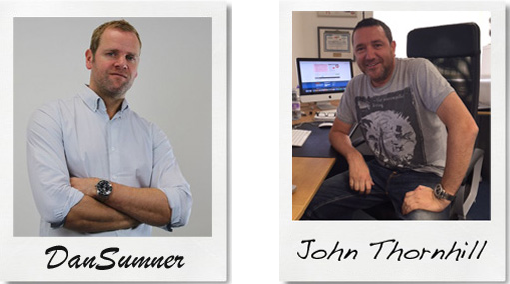 We like to think we make an impression here at Product Creation Club HQ! Take a look at some of the achievements and dare we say it! 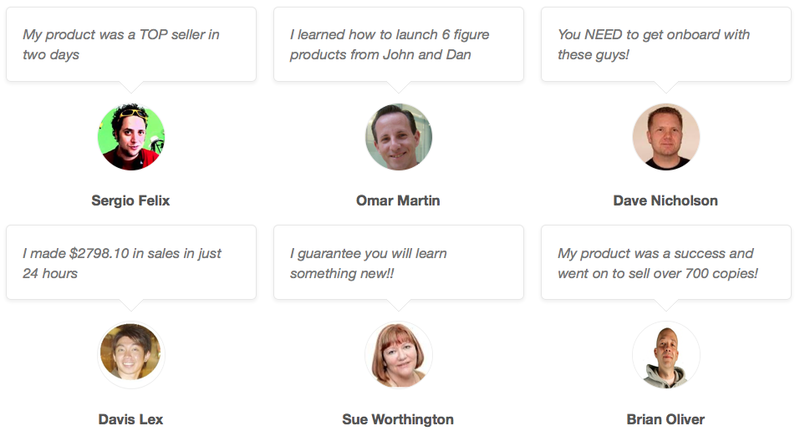 Awesome Feedback from other like minded people. Yes thats right, we are serious and we hope you are too. 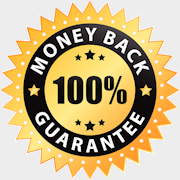 Thats why we are giving you a 60 day no hassle money back guarantee so you can feel secure! We know this works. But you might be skeptical and that’s perfectly normal. We get that. So you can come on board, join the club and judge for yourself. If, for whatever reason, you want your money back just let me know before the 60 days is passed and you’ll get a no quibble, no questions asked refund. Click the 'Add to Cart' button and we look forward to personally helping you take your products and online business to the next level. Remember! We have spent years training and coaching people just like you and we know what it takes to turn you into a success story. Just think about it this way… With our personal help you will finally be in a position to start making real money online starting today! It's time to evaluate your situation and allow us to help you build a Successful Online Business. Stop and think for a moment! This time tomorrow you could be part of something special. 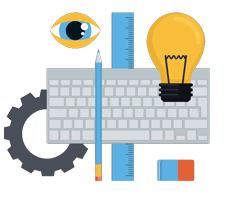 The Digital Product Creation Club has your back... We hope to see you on the inside! YES. Please Give me Access to Product Creation Club Today! There is no risk whatsoever and I should grab Digital Profit Master Product Creation Club RIGHT NOW for a very small investment. Or you can join our 'Product Creation Club' right now and immediately get advice, tools and products to breakthrough and create a business that works!